We provide various kind of m.s oxodized towerbolts in isi & non isi fittings for various govt. projects . 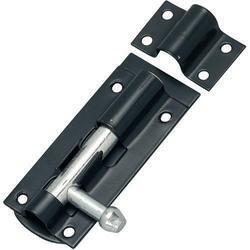 M.S Barrel Tower Bolt 75mm x 1.20mm x 10mm Dia Rod, Size: 3"
We offer wide range of M.S Latches that are appreciated for their features like high strength, power coated, durable finish with superior constitution and optimum standard. Our range can be availed by our client at market leading prices. 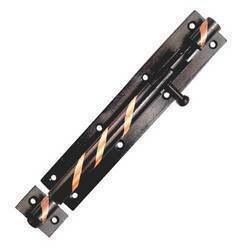 We are one of the most reliable companies in this domain and are into offering MS Tower Bolt. Size (in inches): 6, 6"
MS Tower Bolts, Size: 4"
In order to keep pace with never ending demands of the customers, our company is instrumental in offering MS Tower Bolt. We are fruitfully catering to the assorted demands of the customers by manufacturing MS Tower Bolt(Square 10mm). To meet the various requirements of the customers, we are involved in offering a wide assortment of Mild Steel Tower Bolt.